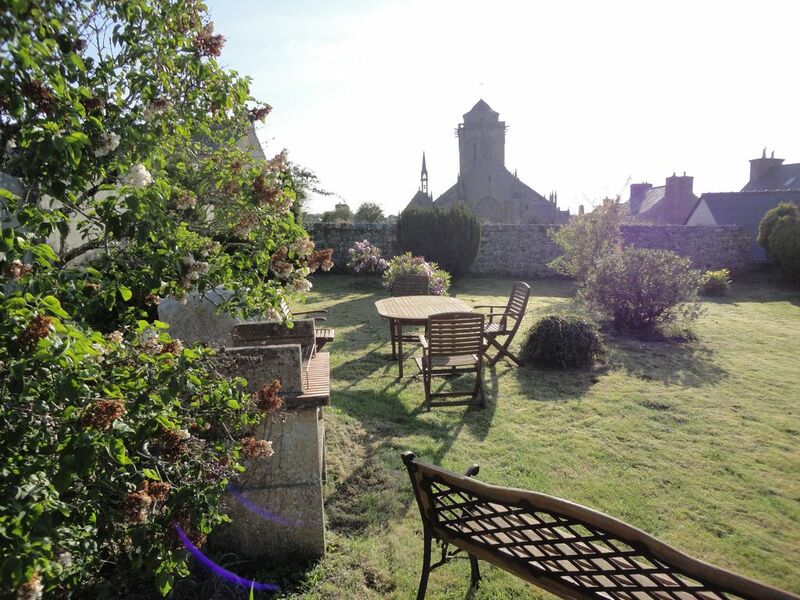 In Locronan, a small city of character well known to filmmakers, second favorite village of the French (Stéphane Bern France 2 broadcast); Quiet village with stone houses, hydrangea flowers, pedestrian streets. 6 Kms from a beautiful sandy beach. Nearby: paragliding, sand yachting, hang gliding, sailing, sea fishing, horse riding, GR 38. Accommodation located halfway between the Pointe du Raz and Cap de la Chèvre, well positioned to visit Finistere. Large garden with views of the church. Small shops, creperies and restaurants nearby. Coastal or country trails around Menez Hom. A locronan July 14 Great Tromenie. Do not miss it. T1 with a pleasant view of the garden on one side, on the Bay of Douarnenez on the other. Fitted kitchen, fridge, hotplates, microwave. In the apartment, at your disposal: crockery, tea towels, napkins and towels. Sheets provided and installed on the bed, as well as 2 towels. The apartment includes crockery, tea towels, napkins and bath towels. Mrs. The Master is at your service. A shower, a sink and toilet in private bathroom on palliate, in addition, the house has a toilet on each floor at your disposal. 15 minutes from Quimper and its cathedral. 10 minutes from Douarnenez, fishing port and water festivals. 15 minutes from Chateaulin and its salmon river. 45 minutes from the Forest of Huelgoat. Churches and Chapels discover 15mn. The white sand beaches 10 minutes by car.